Building the best car in C.A.T.S. takes time, patience and a little bit of preliminary knowledge. We've found that it starts with choosing the right car body type, equipping some great offense and defense, and then maintaing those things by upgrading them to ensure you stay ahead of the competition. After tons of trial and error, we’ve assembled some pointers that are sure to help you power through the ranks and earn you tons of gems and coins while you’re at it. Each car body has their own advantages. In C.A.T.S., it doesn't matter whether you’re fighting with a Classic, Boulder, Titan, Surfer, or Sneakie car body. There are 3 important features that you should consider when aiming to build the best car in Crash Arena Turbo Stars and that's the power stat, health stat, and item box placements. The power of a vehicle is represented by a lightning bolt and controls which weapons and equipment you’ll be able to equip. If your car body only has a power of 7, then you’ll be limited in what you can attach to it. A low power stat like this will allow for one strong chainsaw or blade but that will be it. You can increase your car body’s power but you’ll have to upgrade the level of your car which can take a lot of resources. Health can give you an advantage, especially when facing off against competition that relies on attack power to gain an advantage over you. Many times, these players bank on attack power and neglect defense. This leaves them open to clever tactics that I’ll discuss later. You can always increase your health significantly with equipment, but it’s good to have a good base to work with. Item box placements are one of the most important aspects that can make or break your car body. If you have attachments that place your weapons or equipment too far back or in an awkward place, then no amount of power and health will save you in a battle with a superior C.A.T.S. player. Pick a car body that has well-placed attachment boxes, preferably a weapon box at the very front, and an equipment box in the middle and/or back. The best cars have great offense AND defense. Once you’ve settled on a body, you’ll need to start working on building your vehicle’s health, offense, and defense. Of all things, defense is the most important trait for your car to have because when you start entering into championships, you’ll need to be able to hold down your position to make it to the next level. The best defensive items for cars in Crash Arena Turbo Stars are Repulse and Forklift. Repulse is great because it explodes whenever touched by any weapons. 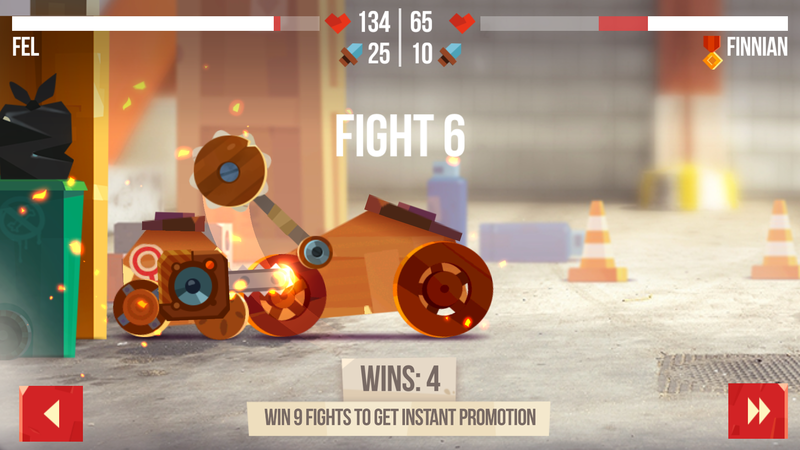 The backlash can cause your opponents car to flip over, giving you a chance to attack them without taking damage. Forklift can flip other cars over as well and can be a great counter to repulse since it can also help your own car turn back over. 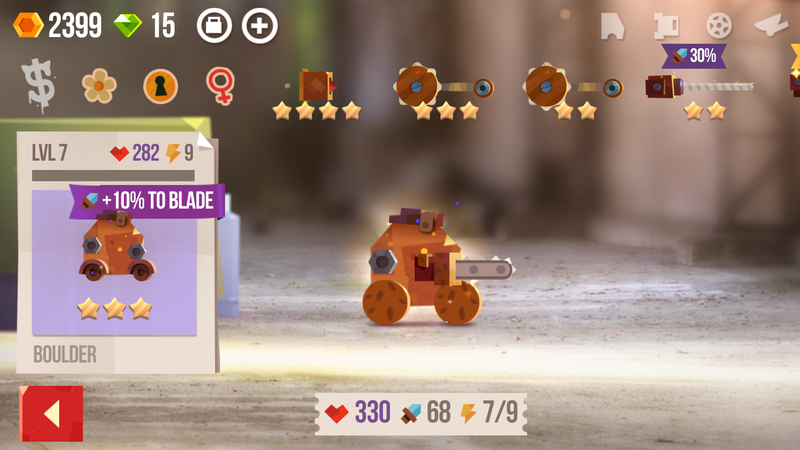 Drills, chainsaws, and rockets will give your car the best offense since they can be leveled up and quickly deal tons of damage. Rockets and drills are great for long range combat and keeping enemy cars at a distance. Chainsaws are great for close range combat. Keep upgrading your car to stay the best. 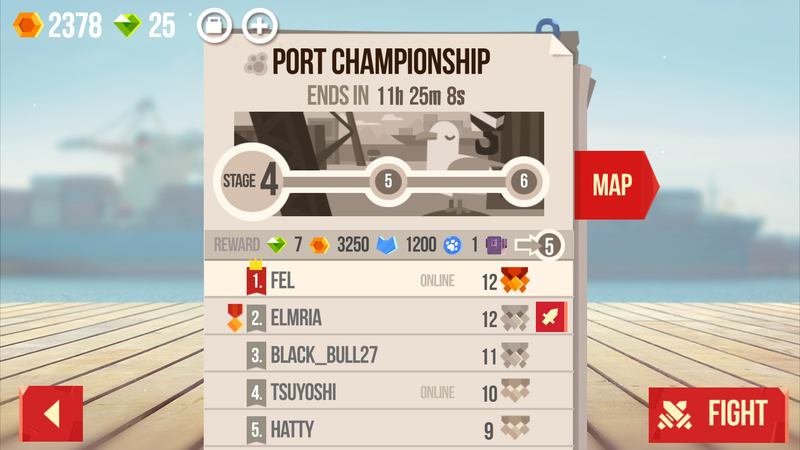 Overall, if you want to stay on top of the championship in Crash Arena Turbo Stars, you have to try different techniques and level up your car. Trial and error is an inevitable part of the process. These are a few tips and tricks that have worked for us. Try different combinations of car bodies, offensive, and defensive items to see which work the best when combined. If you find a winning combo, then make sure to level up those items so they can stay powerful as you progress through the ranks. Sometimes exchanging an old item for a new one will give you better results. You can always use older leveled up items with new ones to give them a nice stat boost. For more guides on addictive mobile games, get rich quick by earning more coins in Bit City and if you're stumped then check out all the Special Level answers in Word Cookies.